HONG KONG—Week 2 of the Hebe Haven Summer Saturday Series took place in Port Shelter on Saturday June 25. Two geometric races were run in 10 knot winds giving competitors an invigorating sail. 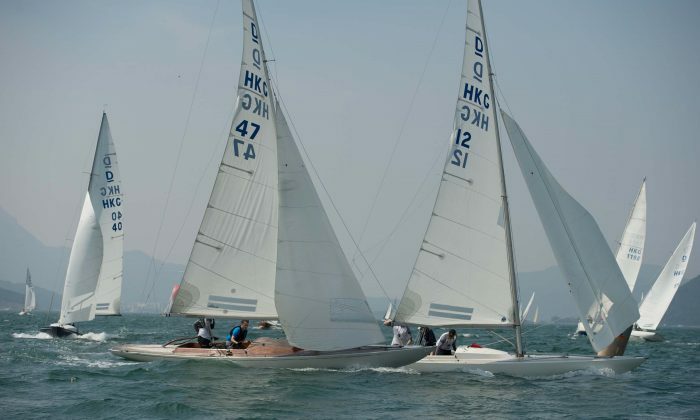 Stars performers of the day were “X-Terminator” in the HKPN, “Merlin” for Sportsboats and “Wudi” in the Dragon Class races, each gaining 1st place in both of the races in their divisions. In IRC racing, “Lighthorse”, “Stella” and “Vixen” took the first 3 places in race 2 and in race 3 “Mojito”, “Jazz” and “Moll” were the top performers. In the 3 races so far “Lighthorse” and “Jazz” are both on 9 points and “Vixen” is next on 13 points. In Sportsboats, “Merlin” has three wins in place and leading the section with 3 points. “Merlin” and “Freefire It’s My Pleasure”, were the only competitors in the Sportsboats in race 1, but for races 2 and 3, 6 boats competed. By just taking races 2 and 3 into account, “Merlin” is on 2, “Ricochet” is on 5, “Freefire It’s My Pleasure” is on 6 points and “Good Vibrations” is on 7 points. In HKPN race 2, the first 3 places were taken by “X-Terminator”, “Tara” and “Bits and Pieces” and for race 3, “X-Terminator”, “Bits” and “GA” were the top 3. In the standings after 3 races “X-Terminator” is on 6 points, “Tara” is on 7 points and “Bits and Pieces” is on 8 points. Dragon Class races are always strongly contested. In race 2, “Wudi” edged “Puff”, followed by “Phyloong III”, “Celines” and “Maiden Hong Kong”. In race 3, “Wudi” won, followed by “Phyloong III”, “Puff”, “Shiva” and “Celines”. In the standings after 3 races, “Wudi” is on 6 points, “Phyloong III” is on 7 points, “Celines” is on 10 points and “Puff” is on 13 points. This coming Sunday, July 3, is an Islands race for week 3 of the Typhoon Series series.